​For the first time in many years, the global construction forecast is looking fairly good, however, for those working in the construction industry across the globe, there are many things that continue to make them nervous about the longevity of the recent boom. On a global scale, those in power they are predicting a surge in housing prices over the next few years, and the construction industry could take a hit to hip pocket. In Australia, the construction industries have contributed 73,400 new jobs to the labour force over the past five years, with above average growth. Building Construction recorded the largest rise in employment. The one issue that those who work in the construction industry face is the toll heavy labour takes on the human body. Because of this, often workers need to quit before retirement age, or simply just put up with the pain. These pressures of uncertainty combined with the desire to secure financial security [before it is too late] are driving many construction industry personnel to find different ways to secure a better financial future through quality investments. As hard as this may sound, there are many ways you can do just that, setting you up for a bright future with a small amount of the right type of information. Adam Truelove, Trading Floor Manager at Learn to Trade, says “Preparing for your future is difficult, especially if you are uncertain of the longevity of your job. It makes it very difficult to plan for the future, however, the best way to ensure you are set up in case your job falls over is through preparation. Learning how to properly invest your money is a start, and the knowledge how to do this CAN be learned and has more benefits than just making sure your money is safe. In fact, really good investments can get you so far in front, that you will never have to work another day in your life. “If you can avoid debt, do it. It’s better to save money and wait until you have enough to buy nice things, rather than borrow it, and be caught out if you lose your job. Sit down with a financial planner and be completely honest about where you want to be financially in 1, 5 & 10 years. Create a plan that assists you with using your money sensibly,” he explains. Mr. Truelove says that the property market is also a fantastic way to make money, but only if you want to spend your time off working on it. It’s one of the easiest ways to achieve a solid return on your investment, and it’s often exciting as well. Spend a small portion of your time onsite studying the ins and outs of Forex Trading, and you’ll be a pro in no time. It won’t take long until you are so good at it, that your financial freedom will outlast your construction industry contracts. Working in a trade, (no matter what industry it is) can be hard on your body and will wear you down eventually. The question you should be asking yourself is ‘How do I get off the tools, but still make money?’ Not a simple question to answer for most, there are so many factors involved. Like any job, if you don’t have savings to keep you afloat, you need to have some sort of financial plan in place, or another job already lined up before you quit the job you already have. But what if there was a way that you can set yourself up, so that in just a couple of years, you could down tools, and kick back, while working from home, for yourself? There are of course, many ways you can do this, by starting a business which will most likely have a large financial outlay, or doing something you have never done before, in an industry you have no experience in, forcing you to take a huge pay cut from the job you already have. Here are 5 easy steps to becoming stable enough financially, in just a few short years to get you off the tools for good. Spend your money wisely. If you don’t NEED it, don’t buy it. Be extremely thrifty when you can, because every dollar counts. If you want to be free, you need to calculate every dollar in, and every dollar out. Without this, you might as well forget it. Focus on removing your debt as quickly as possible. If your car loan is $600 a month, pay $800 if you can afford it. Stop using your credit card, and get the balance down, or talk to your bank and have it transferred to your loan, so you don’t get sucked in to the temptation of spending unnecessarily. Removing debts quickly is so important if you want to succeed in the plan, but it takes some serious budgeting and dedication to make it happen. Create new habits and stick to them. It takes around 21 days on average to create a basic habit (like drinking a glass of water at a specific time of day) and on average it will take around 66 days to make a more complicated habit, like sticking to a budget. So, if you create a budget, create it for 2 months and do not stray from it unless it is a true emergency. Create an emergency fund as part of your budget. Of course, only use it if truly necessary, but build on it every week as much as you can, it will also come in handy with step 5. Invest a portion of your savings and watch it grow. Right now is a really good time to devote some of your savings into one or more investments. Learning about currency exchange is one of the best ways to create solid wealth profits, by applying just a small amount of time and knowledge every day. Adam Truelove, Trading Floor Manager at Learn to Trade says with a Learn Forex course, anyone can be trading currencies in a short amount of time, and earning extra money to set themselves up for a great financial future. In Brisbane’s bayside, we have a booming property market, and one popular trend for home investors is house flipping, because when it’s done right, with the right team behind you, flipping can make you some serious profit. Flipping is when you buy a house purely for the reason to renovate it within a budget and re-sell it when you are done for profit. Flipping projects are usually done within a few months, and if you have a qualified builder in on the project from the beginning, it can be turned around and sold very quickly. If you don’t have experience flipping houses, it’s best to have a team of professionals by your side for the ride, to ensure your budget doesn’t get blown before you get everything done. The basic rules of flipping houses for profit, not loss. The key factor to a successful flip is to have a plan, and to not stray from it. You must be aware of what is happening not only in the local market, but in the national market as well. Knowing supply and demand needs for the market is essential. Your reno budget needs to detail everything in a spreadsheet or a budget software program. Factor everything into it, including capital gains tax obligations, real estate agent fees and interest on your loan. Focus on the renovations that are going to be appealing to buyers. Don’t worry about structural renovations that are going to be costly in labour, but focus on the cosmetic elements. Have a budget for painting, its’s going to be one of the biggest expenses you have, so you need to make it fit into the budget. Leave it until everything else is done, so you don’t have to waste time and money going back over things. Renovating for your local market is crucial, so using colours that will add value to not only your home, but the area it is in is a great idea. One area you need to get6 right is your kitchen. 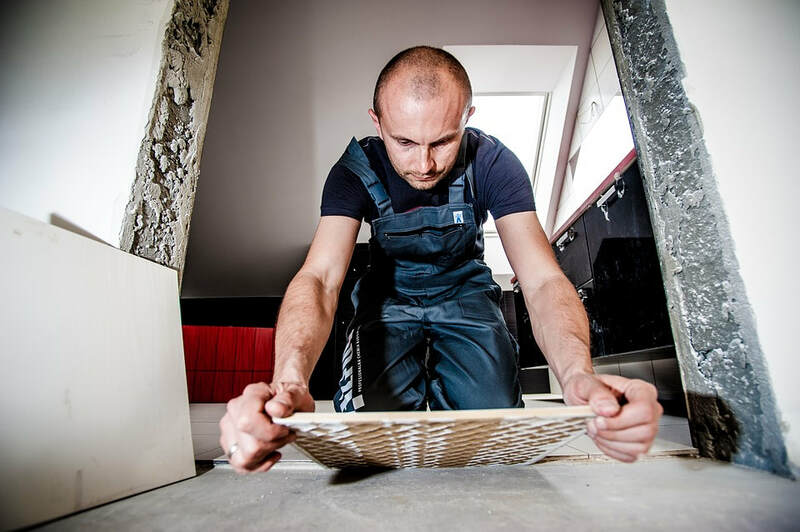 Plumbing, gas, electrical and benchtops are all expensive items for a renovation project, so you need to have everything planned and sorted to the dollar. Creating a modern yet budget conscious bathroom is really important when it comes to flipping. Every dollar you spend on your bathroom renovations will be wasted if you aren’t smart about it. It’s very easy to waste money on expensive fittings, but if the layout of the room is not great, there isn’t any point. Where possible, turn a small bathroom into a larger one. Space is important for adding value; clever space is even more important. Making your living spaces spacious and practical is important. Use your space wisely, and make sure your flooring and wall materials and colours add value. Do your research. Fresh paint, indoors and out, a tidy landscaped garden and new floor coverings will benefit your sale price greatly. Remove any items that might look run down, like old sheds or run-down patio covers. You also need to apply for any permits from your local council. Processing takes time and costs money, so have the planning stage ready to go very early in the project. The most successful flippers get their hands dirty, however having a builder on board means your project has insurance, and quality workmanship guaranteed, not to mention save time.. Getting the easy work done yourself will save money for the project, but some jobs just need to be done by licensed contractors. If you need a renovation team, LimeTree Constructions have many years’ experience in these types of projects. Contact Joseph today to start your house flipping renovation plan. Quick renovations to gift to yourself. If you’re looking to give your home a quick makeover before the Christmas break hits, there are a few great home makeovers you can do for minimal money, to impress your guests when they arrive. One of the greatest moves you will make if you spend a lot of time in your yard, is installing an outdoor shower. Not only is it a great addition for rinsing off after a swim if you have a pool, but it’s also quite a different feeling having a shower outside at night. It is also a really great way to cool off in summer if you don’t have a pool. Fitting an outdoor shower allows you to get back to nature, and you can create a space that is quite peaceful, with the right materials. Three main things to consider with an outdoor shower are privacy, plumbing and waste water management. The best way to approach the installation is by hiring a professional for the job. If you are just installing a cold shower, your local builder can get the parts and adjust existing taps to suit, however if you require hot water to run to the shower, you may need to have a plumber’s help on the project. The element of privacy can be incorporated into the rest of your home easily, or can be a standalone building of sorts. Raw or oiled timbers look great as privacy surrounds of an outdoor shower, however if you want it to blend, your builder can help with that. Water management is important, so you may need some form of drainage or a pump system, depending on the location of the outdoor shower. A small pump like those used in fish ponds can be used to pump waste water to your gardens, and drainage can take it directly to your sewer as well. Installing a great BBQ preparation area will make Christmas day gatherings even better. Creating a great solid base is important, so chat to your local bayside builder about how to achieve the best results. Using bricks, timber or blocks are just three ways you can create a sturdy structure that will last a long time. Bench tops and preparation areas can have a number of different surfaces including polished, stained, painted or oiled timbers. You can also use stainless steel for prep surfaces to add the extra element of hygiene and style. You can easily create great storage when building your barbecue station, so ask for some professional advice on how to achieve this. 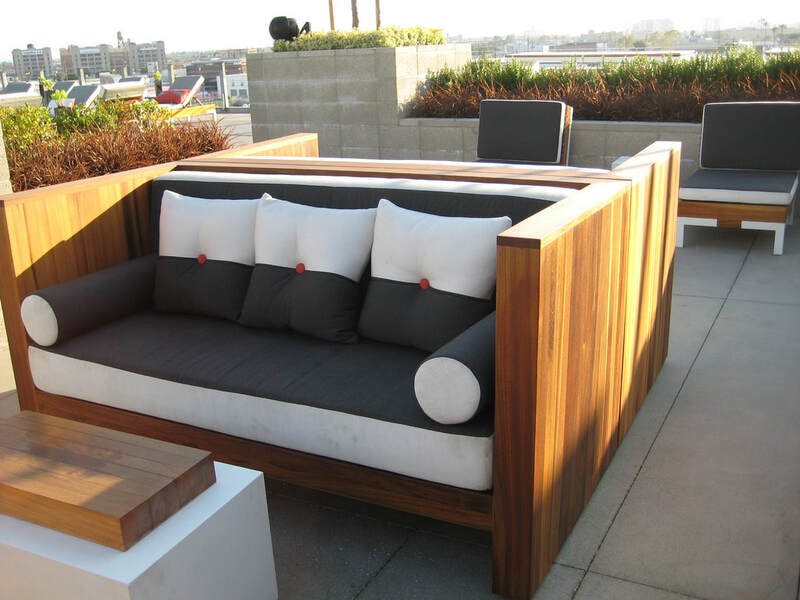 Outdoor furniture can fade quickly if you don’t spend big dollars, and it is very easily ruined in the harsh Queensland climate, so building outdoor furniture from hardy materials will create a space that you can be sure will last for a long time. Using recycled timbers will save you money, and with the right touch, can look amazing. At LimeTree Constructions we are very experienced in customising outdoor spaces to suit your needs. We can source recycled or new materials, and custom install to your specification. Imagine being able to seat your whole family without needing to source extra seating from the shed each time they arrive. Call Joseph today to see how you can renovate between now and Christmas. Your laundry is one of the most overlooked rooms when it comes to home renovation and innovative ideas. Let’s face it, you only really want to use it when you must, and even when you do use it, it’s usually only to load a machine, or to unload it. There are however many ways that you can make the room much more usable for other reasons than washing and drying your clothes. 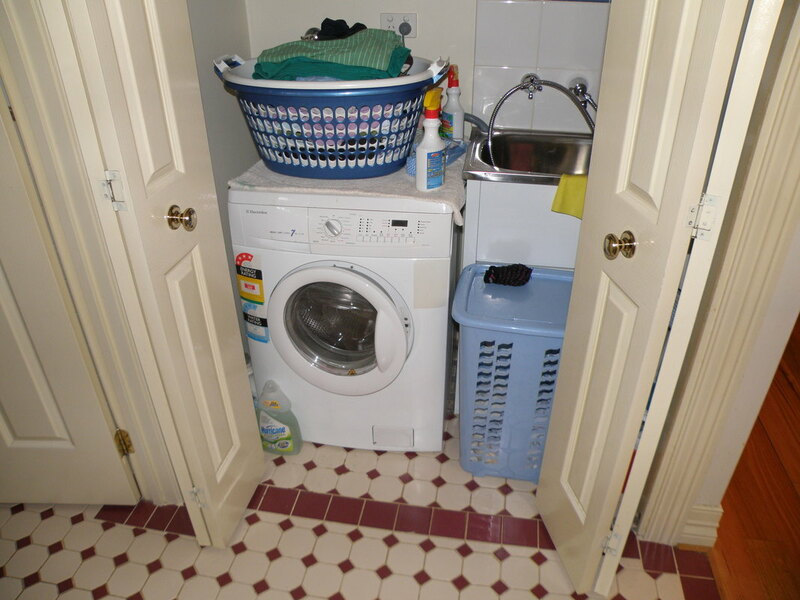 Usually when homes are built, the laundry is a very small space, and everything is spaced to the millimetre to allow machines and not much else to fit, so renovating does not leave many options for space, so you must utilise every bit of space you have in the room to its best ability. One of the most important elements of your laundry is the usable space, generally because they are so small, so when renovating, if you have a focus on installing cupboards, drawers and other types of hidden storage, you will have a much more usable space for years to come. There is a huge range of accessories for laundry renovations. Depending on what sort of use you have in store for it, you can install items like fold down, drop down or slide out ironing boards, or hanging hooks. You can customise your wall storage to include drawers with dividers to store detergents and chemicals away from other items, and probably the best storage solution for any laundry to give a modern sleek appearance is to use your cabinetry to hide your washer and dryer when it isn’t in use. One clever tip on the design of your laundry is to install a bench top above the washing machine and dryer for folding clothes, it can be a permanent shelf, or a fold out fold down/up style of shelf, and even if you have a top loader, hinges are a great solution. No matter what your plans are for the room, LimeTree Constructions can help with design, accessories and custom builds. Feel free to contact Joseph today for a quote.